Blog Giveaway Winner and New Blog Design! If you have stopped by my blog recently, you probably noticed that my blog looked a little different. After some technical difficulties, I am proud to announce that I now have a new blog design created by Erica at The Cutest Blog on the Block! I am so happy with my new design. I think we still have a few small additions to add, but I'm loving my cute blog already! 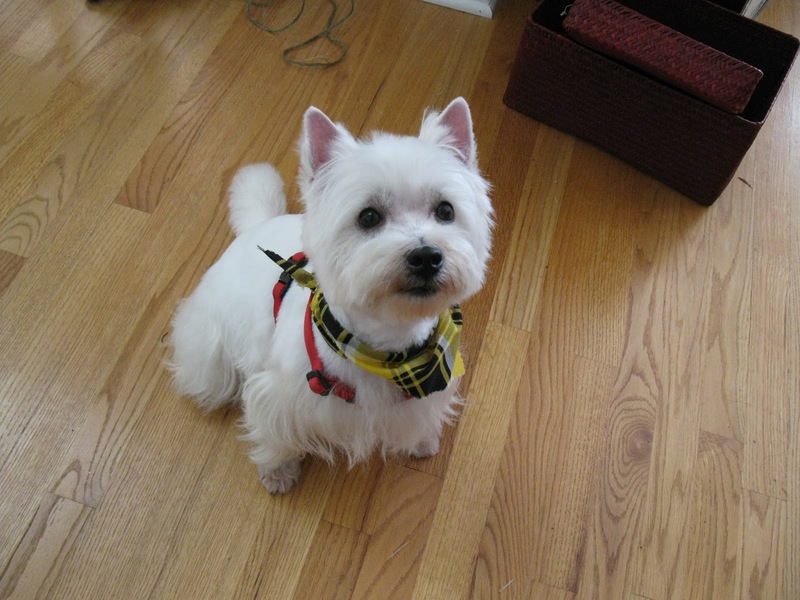 To celebrate my new blog, I am so happy to announce my giveaway winner! 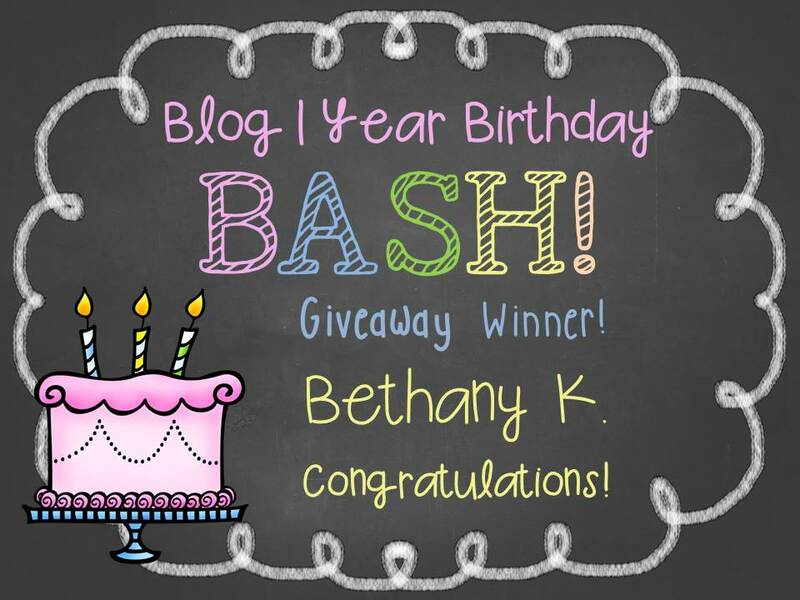 Congratulations to Bethany K.! 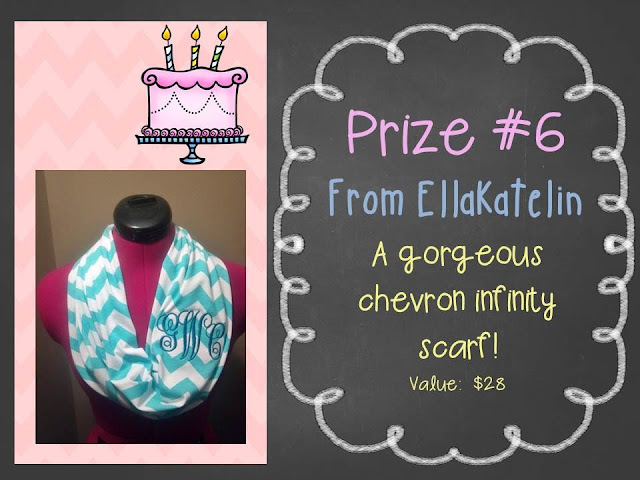 You have won all of these great chevron prizes from etsy! It's here! The Blog Birthday Bash Giveaway! I can't believe all of the support that you have shown me this past year! To show you my appreciation, I'm hosting this marvelous giveaway full of chevron prizes! Just look at all of the fabulous prizes that you can win! 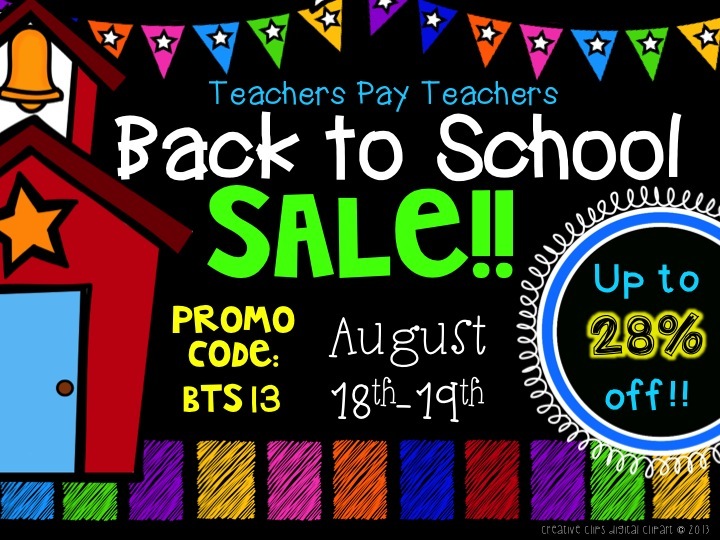 Please visit each one of these special shops where you'll find each store filled with wonderful gift ideas for teachers, friends, or even yourself! Just click the images below to go to each store. Back to School Sale and Get Ready for a Giveaway! Don't you just love this cute chevron lanyard. It comes in a variety of colors, and is perfect for a teacher's gift! I love the chevron design of this gorgeous teacher's bag! 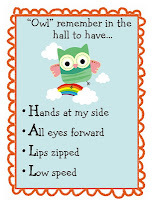 It is perfect for those items that you take back and forth to school each day! Isn't this acrylic monogramed keychain just cute as a button? Love it! I can just see myself taking this cute cup to school each day filled with sweet tea! When you look at all of the fabulous items in each one of these Etsy shops, I know you are going to find something else that you would love to have. Well, the winner can buy something of her choice with this $25 gift certificate! Finally, look at this beautiful infinity scarf! Wouldn't it be perfect with just the right outfit for school! Don't forget to come back next week to enter. You might just win!! 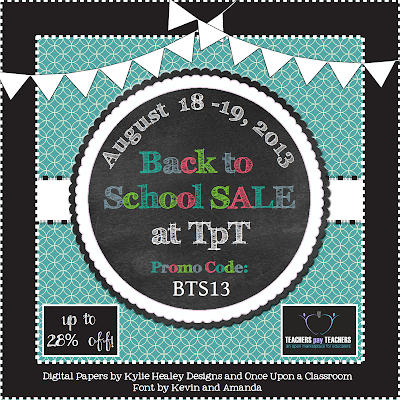 Also, all of my items in my store are on sale Sunday and Monday for the Back to School Sale at TpT! Just look at some of the items that you'll find in my store! Yes, I'm a day late again, but I love taking a peek into other teacher's classrooms. 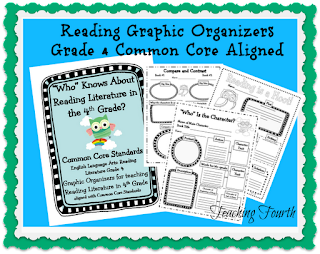 That's why this linky is such a fun one: Classroom Digs at Blog Hoppin'! 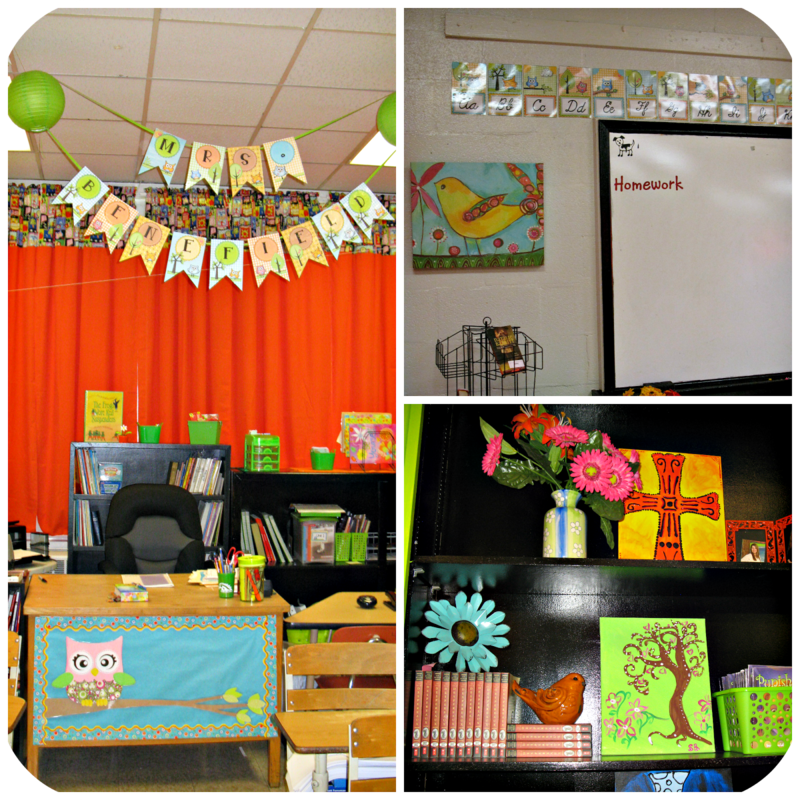 So, I hope you enjoy taking a peek at my classroom! 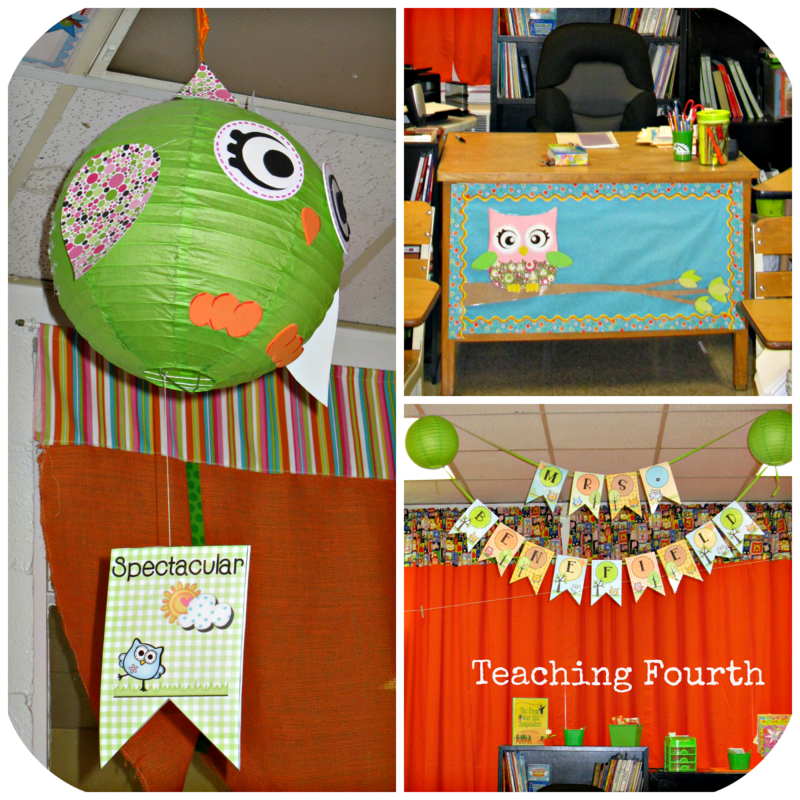 My classroom again this year is decorated in owls. I added group signs to my owl lanterns. Each group will be named words such as "Awesome" and "Spectacular." I decorated the front of my desk with a cute owl, and above my desk I hung an owl banner with my name. 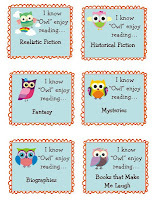 The following items can be found in my TpT store. My eight parts of speech posters are cute and colorful. 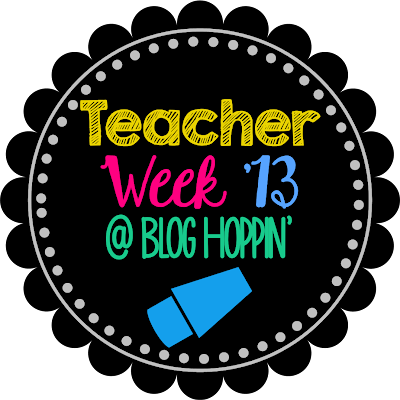 I am excited to join the fun at Blog Hoppin' for Teacher Week '13. I really tried to link up yesterday, but after a long day at school, I finally gave up and gave in to sleep. 1. I am beginning my 24th year of teaching! I knew I was an old teacher when I began having children of my former students. Five of my former students are teachers at my school! I also teach at the school that I attended and graduated from. It's the only school I've ever known! 2. I am an Alabama football fan. My husband, though, graduated from Auburn and is an Auburn fan. Roll Tide! 4. I enjoy crocheting. My great-grandmother, grandmother, and mother all crocheted. I have pieces that each one crocheted. This is a blanket that I crocheted. 5. I love sweet tea. Jack's has my favorite. 6. My family and I live on a small cattle farm. I love country living. 7. This is our sweet puppy, Ragan. She is a Westie and a big part of our family. Mr. Briggs is our pretty cat and is a girl (not a boy). To make a long story short, we got her from our vet, who told us she was a boy. 8. I am married to my best friend. We were high-school sweet hearts. My hubby is a teacher, too! He is a high school agriscience teacher. 9. We are blessed with two beautiful and sweet girls. I am so proud of each of them! My oldest will be in high school this year! They are only 15 months apart. 10. I am a breast cancer survivor. Five years ago I was diagnosed with triple negative breast cancer, a very aggressive form. I went through four surgeries, five months of chemo, and my life revolved around countless doctor's visits, pet scans, and tests. Through God's grace He has allowed me to now be cancer free. Each day is a true blessing and a gift from Him. 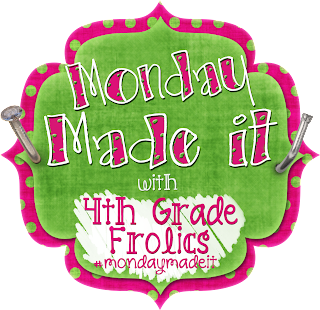 Monday Made It & Blog Birthday Bash! 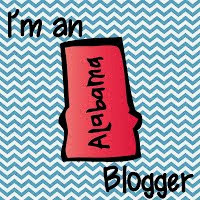 I can't believe that it was a little over a year ago that I began this blogging adventure. To be truthful, I occasionally like a challenge, and when I started this blog, it was just that: a challenge to myself to see if I could accomplish building a blog. I had no expectations that anyone would be interested in my little blog. Well, to my surprise, I did, and you viewed, read, pinned, and followed, and I am amazed and humbled. I love Erin's chevron lanyards. They are so well made and so pretty, or if you win, you might choose her cute id badge reel. Don't you just adore this gorgeous chevron teacher tote? This tote from OohBaby Designs is perfect for those items that you need to take from one place to the other! So pretty! Who knew that a keychain could be this pretty? Well, this keychain from Make It Wonderful, definitely is gorgeous! I guess you've figured out the theme: Chevron! Coffee (or even tea) is bound to be a special treat in this cute tumbler from Pink and Lime Designs! Each one of these Etsy shops have many other wonderful items. If you win this giveaway, you'll have $25 more to spend at any of their shops! The problem will be narrowing it down because there are so many pretty things to choose from! 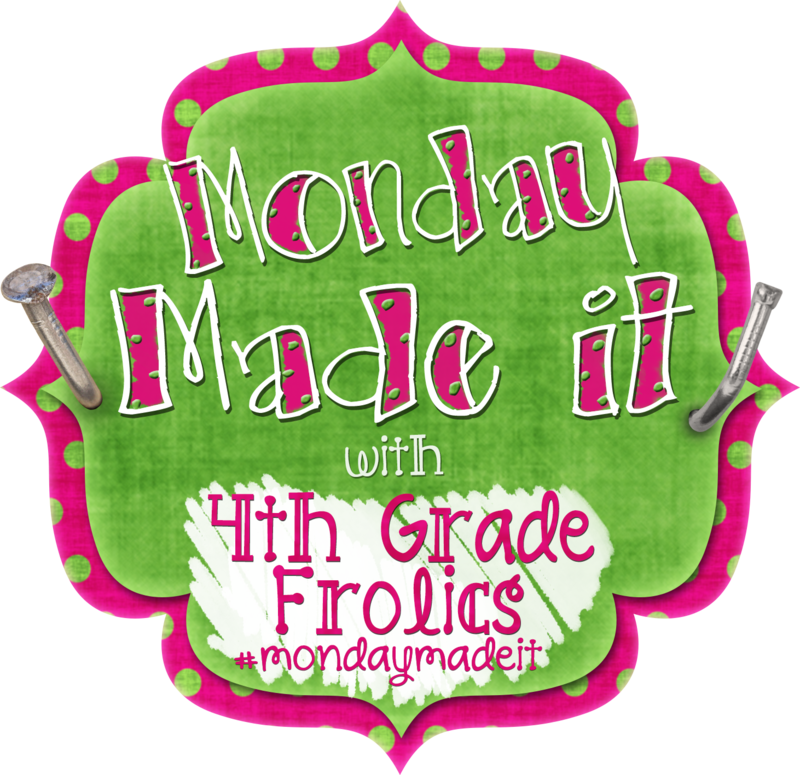 Now for part 2 of this post: Monday Made It! I made and hung this banner to go along with my owl theme. I strung it between two lanterns above my desk. I love how it turned out! I also made and hung these cursive letters. 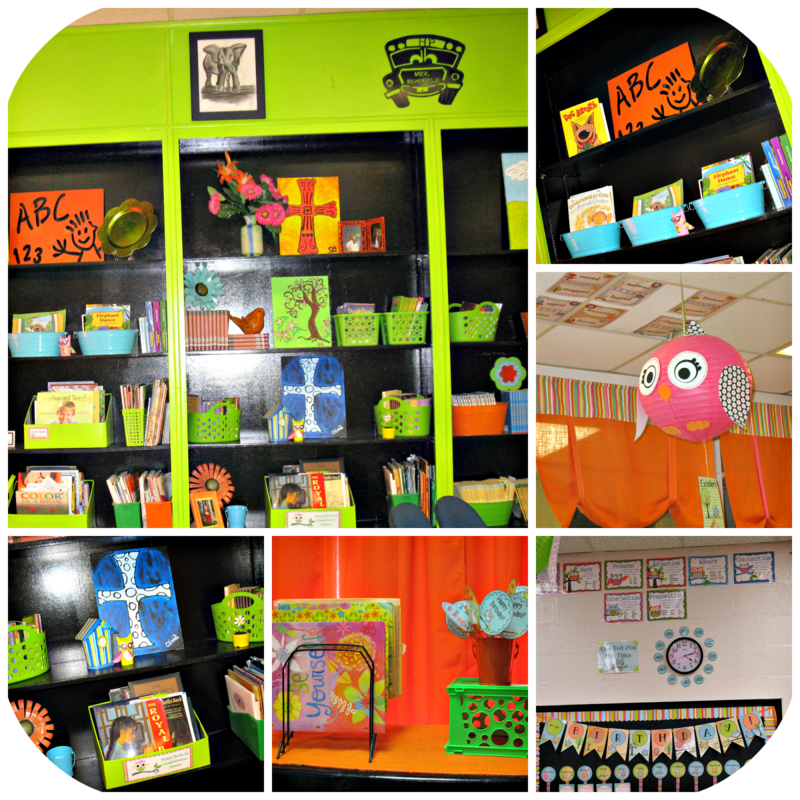 This is just a peek into my classroom. I hope to show you my completed classroom soon! 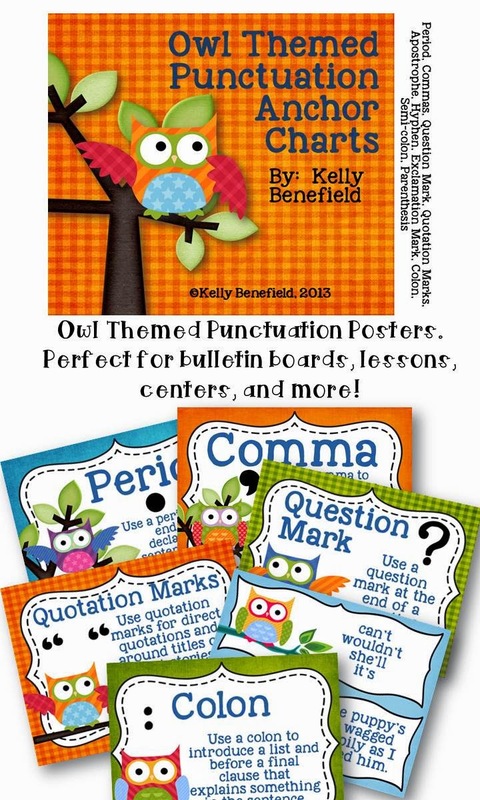 Both banners are part of my huge Owl Themed Classroom Set at my TpT store. 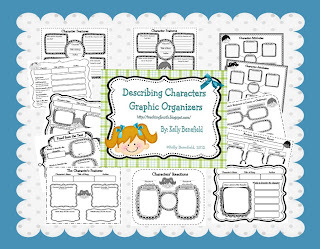 This is a huge packet that contains job charts, 4 styles of pennant letters, a birthday bulletin board, hall passes, student labels, desk nametags, and much more! Only 1 more week until I get kiddos, and no more summer for me. I am back at work with workdays and workshops! I am looking forward to a great year!